Developing effective irrigation and drainage strategies to improve the quality of saline-alkali soil is vital for enhancing agricultural production and increasing economic returns. 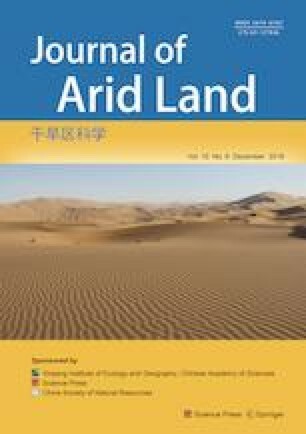 In this study, we explored how irrigation and drainage modes (flood irrigation, drip irrigation, and sub-surface pipe drainage under drip irrigation) improve the saline-alkali soil in Xinjiang, China. We aimed to study the transport characteristics of soil water and salt under different irrigation and drainage modes, and analyze the effects of the combination of irrigation and drainage on soil salt leaching, as well as its impacts on the growth of oil sunflower. Our results show that sub-surface pipe drainage under drip irrigation significantly reduced the soil salt content and soil water content at the 0–200 cm soil depth. Under sub-surface pipe drainage combined with drip irrigation, the mean soil salt content was reduced to below 10 g/kg after the second irrigation, and the soil salt content decreased as sub-surface pipe distance decreased. The mean soil salt content of flood irrigation exceeded 25 g/kg, and the mean soil desalination efficiency was 3.28%, which was lower than that of drip irrigation. The mean soil desalination rate under drip irrigation and sub-surface pipe drainage under drip irrigation was 19.30% and 58.12%, respectively. After sub-surface drainage regulation under drip irrigation, the germination percentage of oil sunflower seedlings was increased to more than 50%, which further confirmed that combined drip irrigation and sub-surface pipe drainage is very effective in improving the quality of saline-alkali soil and increasing the productivity of agricultural crops. This research was financially supported by the National Natural Science Foundation of China (51741908). We wish to thank BIAN Qingyong, ZHU Yankan, GU Zhenda, WU Qiang, MA Xihe and HOU Yusheng for their help with analysis of soil samples. Thanks are also to WANG Fengjiao and ZHAO Di for soil sampling.